Ashampoo Ultimate Photo Tool Bundle 6 consists of Ashampoo Photo Commander 10 and Ashampoo Photo Optimizer 5. Ashampoo Photo Commander 10 offers easy but powerful organization and editing of your photo collection. It supports batch processing. with this tool you can easily share your photos with your friends and family members in social media or via email. Ashampoo Photo Optimizer 5 allows you to optimize you photos in a single click of mouse. You can apply effects, remove red eyes, rotate, mirror etc. It automatically backs up original image and so you will not have to worry about unwanted changes. Ashampoo Photo Commander 10 supports a number of image formats from various sources. It offers tagging and enhanced overview for managing photo collection. You can crop images or resize, rotate those. You can correct horizontal misalignment. shampoo Photo Commander 10 allows you to print images or offers in-built burning feature to burn in CD/DVD. You can add texts, notes or graphics to your photo collection. It is possible to create photo collage with multiple images. You can even make greetings card or framed photos. You can send emails with you favorite images. You can even share images via Flickr or Facebook. Ashampoo Photo Optimizer 5 has an easy to follow intuitive user interface. You can remove red eyes from your captured photographs in one click. Applying effects, color correction is easy as a snap. You can create aging of photos, rotate or mirror those. You can return to the original version of your photos anytime due to the automatic backup feature of Ashampoo Photo Optimizer 5. Ashampoo Ultimate Photo Tool Bundle 6 Trial version is not available. But you can download individual components using the following links. 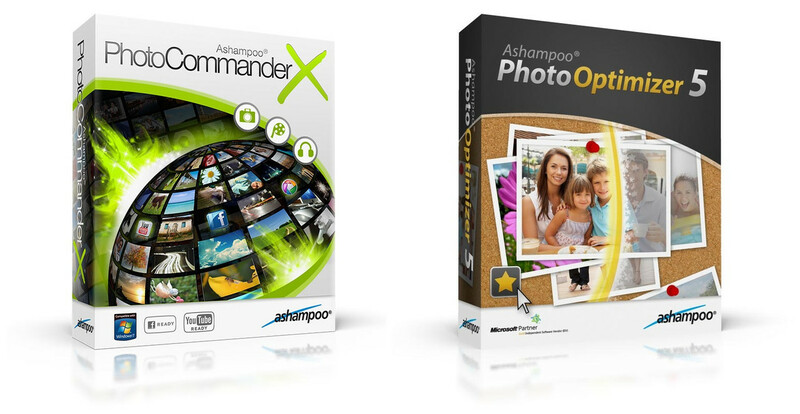 Ashampoo Ultimate Photo Tool Bundle 6 costs $ 64.98 and can be downloaded using This Link. Use Coupon Code: 6XX-WL7-6GS or use This Link to purchase with discount.